Note that this is not a game. 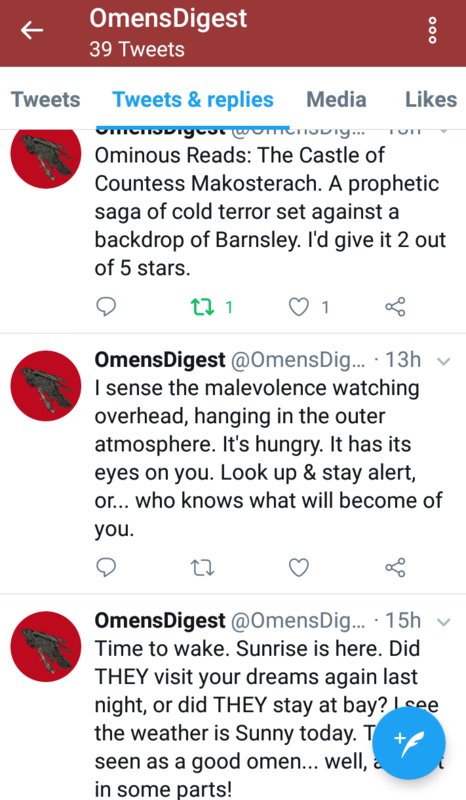 Daily fake gothic novel reviews, & ominous portents channelled through the Twitter spirits. A work in progress creative experiment made for Gothic Novel Jam. Tweets were generated using ifttt.com, taking information from random RSS feeds; and Cheap Bots Done Quick with Tracery.